I kicked off 2016 by going to an amazing New Year's trip with a group of talented artists. I was invited by Minneapolis-based gallery Light Grey Art Lab to attend an art camp in Colorado with 14 other artists from all over the US including the staff of the gallery. I started doing shows with Light Grey Art Lab since I was still a student at the Minneapolis College of Art and Design, and I hadn't seen the people at Light Grey since I left Minneapolis for New York over a year ago. So this was a reunion with some old friends as well as meeting new people -- I was very excited about it! It was three and half days's exploration, conversation, laughs and fun activities in the breath-taking winter Colorado: we saw endless snow covered mountains and wild animals on the road; we soaked ourselves in hot spring at night with the milky way above us; we talked about our inspirations and shared ghost stories by the fire; we explored cute little towns and visited an abandoned village from the 1800s... There were too many personal 'firsts' and unforgettable memories. People in our trip come from all kinds of artistic background: some are freelance illustrators like me; some are in-house designers; some just graduated from college and looking for new direction in life; some have been working in the same company for over a decade. But we all share the same appreciation in art and nature, and we became instant friends and felt like a family. 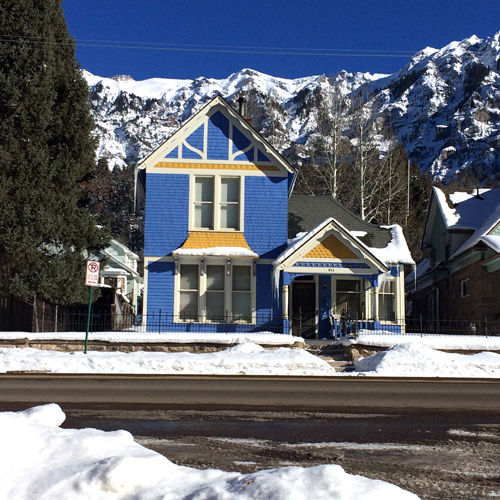 We shared a big two story house in the mountain of Ridgway,Colorado where you can see the snow covered mountains right outside the living room window. We even saw several deers wandering outside our house during our stay there! 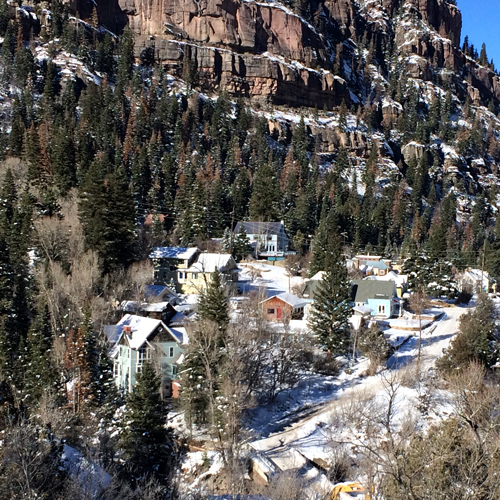 During our first two days, some people went ice-climbing at the Ice Park and skiing at Telluride Ski Resort, while others like me who are lack of sports genes were just walking around and exploring different towns of Ouray and Telluride. I love all those cute colorful houses I saw on my way - they feel like they belong to a fairy tale. I tried to sketch more but it was too cold to draw outside! In an antique store in Ouray, I found a 1902 women's magazine The Ladies' Home Journal (yes it's an original!) full of beautiful illustrations and ridiculously funny articles (such as putting bacons on your neck to cure cold). I have a deep appreciation for vintage packaging and illustrations, they are just so dedicated and full of charm. The magazine is in a very big format (11.5"x16.5"/29cmx41cm) and amazingly good condition consider it's from 114 years ago! Don't you just love these vintage advertisement? I mean, how can you say no to that cute kitty? 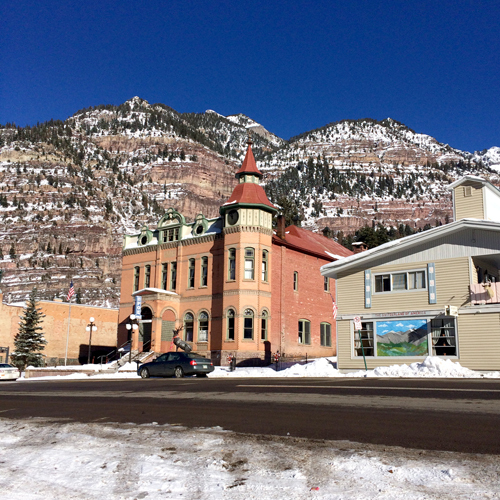 On Day 3, we visited a very special private museum called Ouray Alchemist where you can find extensive historic pharmacy and medical collection dating back as early as 350 BC. The museum was truly an eye candy for us. We spent a whole morning looking around the recreation of an 1800's pharmacy and listened the owner Cutis gave us a vivid presentation about the stories surrounding the artifacts in the room. In the afternoon, we headed to the Ironton Ghost Town, where an abandoned mining town from the 1800s hiding in the silent forest. 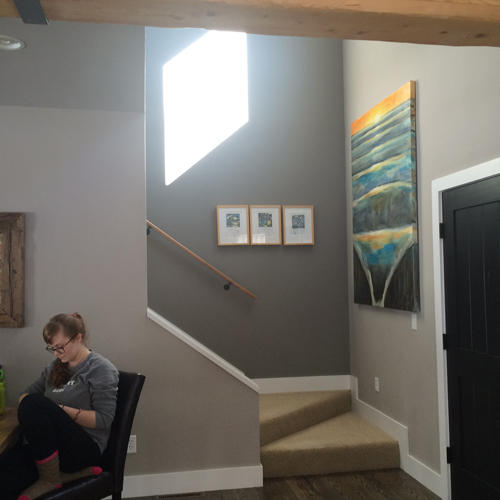 Thanks to the gallery owner & organizer Lindsay Nohl, we were able to go to all these quirky places! We entered some of the abandoned buildings and peeked inside the secret past, while holding our breath and walking carefully on the fragile staircase -- It was truly an adventure! Every night when we got home with our sore bodies, there were usually some sorts of board games, crafty activity and chatting waiting for us. The last night we stayed here, Lindsay did a big tarot reading for me. I surprisedly found out that almost all of my cards were about collaboration. I didn't realized that collaboration is such a huge part of my life, but I think it all makes sense because I always love meeting new people and talking about ideas, I like to organize and participate in collaborative shows, and most importantly, what I do as an illustrator, I'm essentially collaborating with people on every project. Travel is a big part of my life, I always reflect a lot during travels. I’m so grateful to be able to travel with such a talented group of people who share the same interests with me. Being a freelance illustrator can be so lonely, but it is this kind of gathering with like-minded people makes us connected. I will always remember this trip and I can't wait for our next adventure!